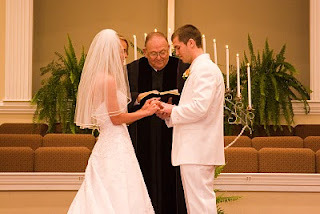 I never knew when we read this verse at our wedding it could be added, “where winter feels eternal and summer too short lived.” :) But as C. S. Lewis says in The Four Loves, “Better this than parting. Better to be miserable with [you] than happy without [you]. Let our hearts break provided they break together.” I can’t believe we live in Minneapolis and have 3 babies. What sweet grace it’s been to me to be your wife these four years! I’m incredibly thankful for you. Thankful that of all the people to be paired together, that God orchestrated our hearts be put together. God did exceedingly and abundantly more than I could have ever imagined when he gave me you as my husband. You’ve been such a beautiful and imperfect picture of Christ’s love for his bride. I’m thankful for how diligently you seek to serve me. And I’m thankful how you pursue me even when I’m most unlovable. Thankful for you with deep gratitude to Jesus is how I feel on this 4th anniversary as your bride. I still can’t believe you asked me! This has just put tears in my eyes. I hope that, if I ever get married, I feel this way about my husband 4 years and 40 years after we're married. So sweet, I teared up too!